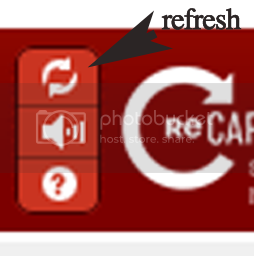 Help Topic: Are you having trouble with reCAPTCHA? At the bottom of the registration form you will find the reCAPTCHA security feature (this is created by Google and cannot be altered). Do not think that this a secret question. Do not think that you needed to read some special instruction so that you know the secret answer. Do not think there is a trick. Do not enter "yes". Do not enter "no". Do not enter "cool bananas baby". However, in your case, the two words will be different. So just type whatever two words that you see, EXACTLY as they appear before you. If you are still having trouble you should try to find some child or teenager to help you. Tell them that no special programming skills are required. Most ten years old will get it right the first time. If the ten year old can't do it find a twelve year old - or a smarter eight year old.